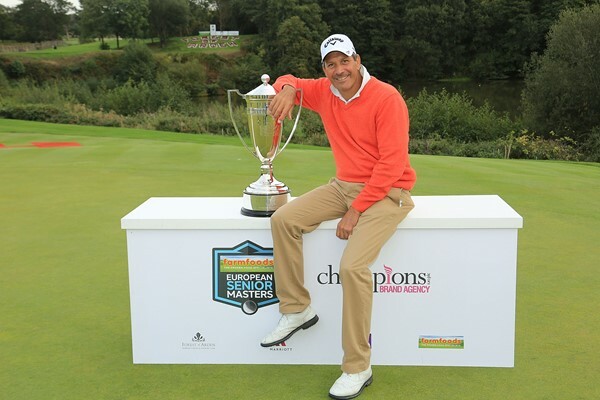 Spain’s Santiago Luna won the Farmfoods European Senior Masters by two strokes after shooting a final round 69 at the Forest of Arden Hotel & Country Club. The 55-year-old from Madrid began the final day in a share of the lead alongside England’s Peter Wilson, but he almost immediately pulled away from the pack with birdies on the 4th, 6th and 7th holes to build a three-stroke advantage. However, a dropped shot at the 16thsaw Luna’s lead reduced to just a single shot after former Masters’ champion Ian Woosnam birdied the par-five 17th. The Spaniard immediately took back the initiative with a birdie of his own at the same hole, which restored his cushion and allowed him to play the final hole in relative comfort. Wilson, who is attached to Prince’s Golf Club in Kent, recorded his best result of the season by finishing in a tie for second place with Austrian Markus Brier on eight under par.